Tis the Season… the Nutcracker season! Enjoy! 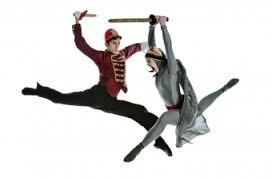 Tonight and Saturday, Arts Umbrella presents it’s own telling of the Nutcracker in Mixed Nuts. Always fun to see, with some wonderful choreography from Ballet BC dancers amongst others, and of course the supremely trained Arts Umbrella senior dancers. At the Vancouver Playhouse, 7pm and a 2pm matinee Saturday. Tix available in lobby one hour before showtime. December 18 to 22, the Goh Ballet presents it’s Nutcracker with Paloma Herrera of American Ballet Theatre. A Traditional Rendition of a Classical Masterpiece. Experience Clara’s dream come to life as she embarks on a magical journey through the Land of Snow to the Kingdom of Sweets where she is greeted by the enchanting Sugar Plum Fairy. An unforgettable adventure awaits as her gallant Nutcracker battles the evil Mouse King and his army of mischievous mice. This heart-warming production is sure to delight audiences of all ages with more than 200 glittering costumes, dramatic sets and valuable lessons – all danced to Tchaikovsky’s memorable score performed live by members of the Vancouver Opera Orchestra. At the Centre, 7:30 pm with matinees Saturday and Sunday. Details and tix. ~ by DanceHouse on December 12, 2014.